With how chilly it’s been here lately, it’s hard to believe that just a couple of weeks ago I was going sleeveless, but here’s what I wore to work on my 30th birthday. I’ve been enjoying accessorizing my bump with graphic tees and belts, but on this day I decided it needed a nice big flower! And for less than $3 I had a flower pin of my own! Not sure which side to wear it on? Here’s a tip–put it on the side that won’t be in the way of your seatbelt when you buckle it to prevent smushing your pretty new accessory! Adorable! It accents your bump very nicely. Super cute! Love the top, as well. Super cute DIY flower pin!! I will so be sporting one of these in the near future! 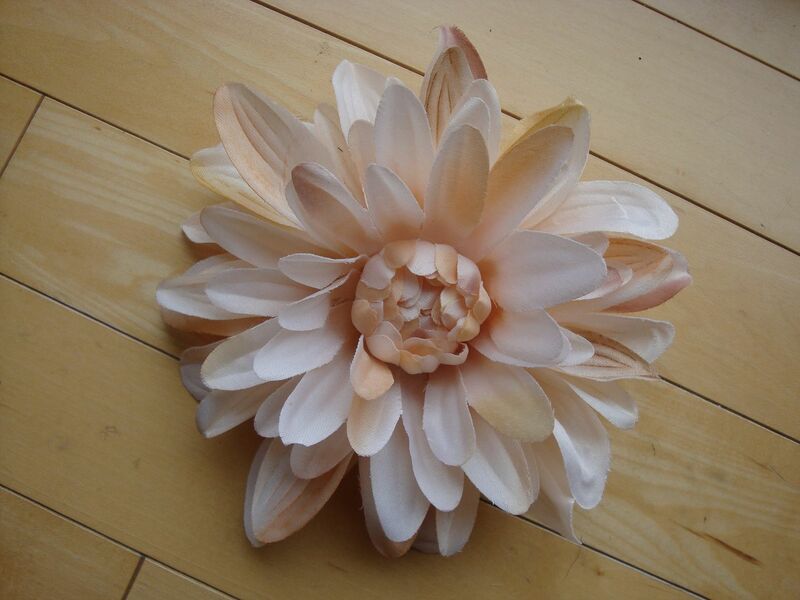 Love the DIY flower pin – I am totally scalping the idea D. Don’t fret – you will get the credit all over the metro-Atlanta area People everywhere will know you are an accessosory genius! I’m certain that I’m so not cool enought to pull off such a large accessory. But you, you look amazing with that flower! i think your shoes always push me over the edge…in a good way. Good job on the DIY project! So cute! oh my gosh you have a lovely site! love this tutorial!!! Really pretty! Im going to have to try it! Very cute idea. It’s adorable on you. Very cute!! I think it looks great! Thanks everyone! If any of you do one for yourselves I’d love to see pics! Feel free to email me or send me a link if you post about it! I just came across your blog and I LOVE IT! I aspire to be trendy pregnant like you! The flower is perfect! What is it attached to? A belt? A ribbon? Thanks so much Jeanette! 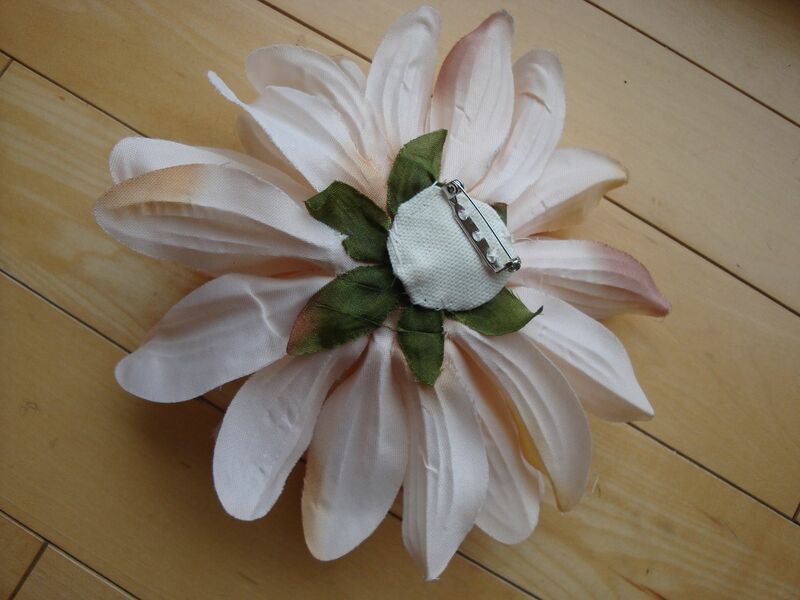 The flower pin is attached to a piece of ribbon that I tied around my waist.